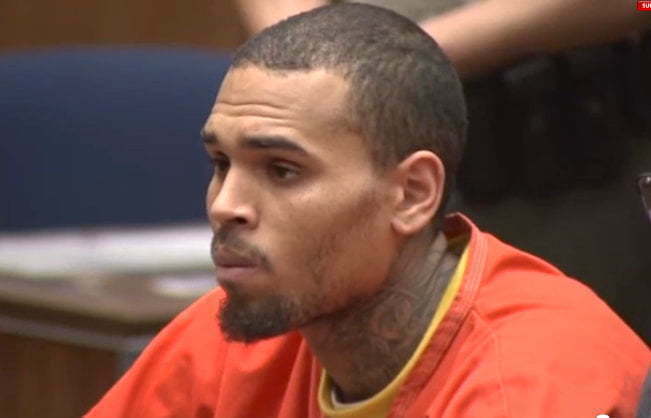 Chris Brown is currently behind bars after being arrested and charged with felony assault with a deadly weapon. Cops have been at the singer’s Tarzana mansion all day after responding to a 911 call from a female groupie who claimed that he pulled a gun on her in a drug and alcohol fueled rage. Former beauty Baylee Curran claimed that she was in fear of her life after Breezy pulled a gun on her and threw her out his home. Police has been on the scene since 3 a.m. on Tuesday morning. Curran told police officers that the argument between herself and Breezy started over some jewelry that one of his friend’s was showing off. LAPD obtained a search warrant and conducted a thorough search of his premises and found a gun and some drugs. TMZ reported that Chris Brown threw a duffel bag out through one of his window but cops discovered it and two guns and some drugs was found inside of it. 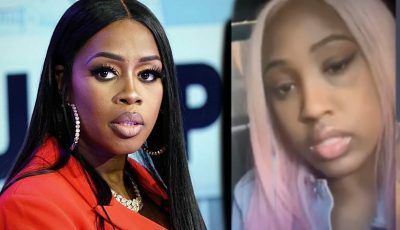 A few celebrities have been weighing in on the incident including Omarion and K Michelle who both voiced their opinions in support of Chris Brown. “They have a helicopter over this man’s house, but they leave a black man laying dead In the street for hours. Hmmm,” the R&B songstress said. Chris Brown has also been posting videos on Instagram all day before they arrested him. The complainant claims that Brown was high on drugs and alcohol.